Organization A3DXYZ – 3D Printers, 3D printing Services – Karad Satara, Maharashtra, India. Are you looking for 3d prints file, model or projects? 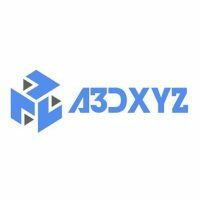 A3DXYZ is a leading company in India which offers 3D Printing and Modeling Services in India Maharashtra.If you are looking for professional 3D printers in India then your search is over. Do you know 3D Printing? With the help of digital 3D models 3D printing technology employs layered printing so that tangible objects can be created. In simple words when someone has a blueprint of any object like say the Taj Mahal, a cup or even a bus one can get it printed in three dimensions. So, with the help of it you can easily print a replica of three dimensions of anything say the Taj Mahal or just a cup! For this type of printing different raw materials are used and they include plastics, paper, wood, resin, and glass. With it things that were in your imagination will become real and you can touch them and feel them just like any original object. Thus, even in the field of architecture it is possible to use this technology and make your customer satisfied. Let’s explore how you can utilize this system. We offer 3d printing services i.e. you can see how your project looks after installation.